Cocina 21 from Native Trails is perfect as a compact kitchen sink for a small kitchen - or as a prep sink in a larger kitchen - or as a fabulously functional bar sink . The rich hand hammered copper texture is a feast for the eyes. 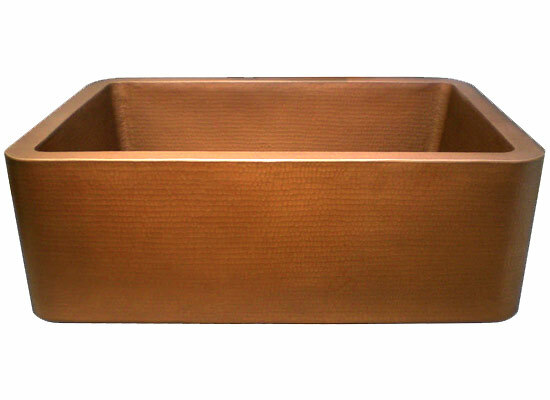 Cocina 21 copper undermount sink, formerly called Cocina Chica, is artisan crafted; forged of high-quality recycled copper. You can trust that your heirloom sink will last for generations - Native Trails offers a lifetime warranty on all our copper sinks. Outside Dimensions: 21.5" x 16" x 9"
Inside Dimensions: 18" x 12.5" x 8.5"